I’m going to tell you something that you already know but probably don’t want to hear: Facebook knows pretty much everything about you How To Perfectly Tailor The Facebook Adverts You See How To Perfectly Tailor The Facebook Adverts You See Tailor your Facebook ads so that you are only being shown advertisements that you are interested in seeing. You might as well only see ones that you find helpful! Read More . It also knows what you do online. 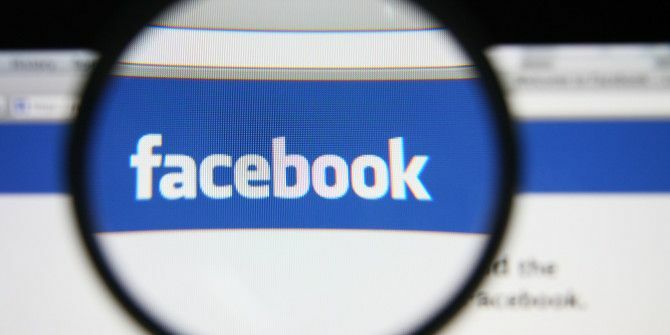 At this point, if you’re a Facebook user 13 Awesome Facebook Tricks You Probably Don't Use 13 Awesome Facebook Tricks You Probably Don't Use Here are a bunch of Facebook tricks and tools that most people forget are available to them. Check you know all of these, then tell us your favorite tricks in the comments. Read More , you’ve already giving the social network an almost unlimited amount of data 6 Logless VPNs That Take Your Privacy Seriously 6 Logless VPNs That Take Your Privacy Seriously In an age where every online movement is tracked and logged, a VPN seems a logical choice. We've taken a look at six VPNs that take your anonymity seriously. Read More . But you still have a bit of control over what it does with your information, specifically, how it shows you ads. And I’m not just talking about targeted ads while one Facebook’s site, because the ads are now following you around as you browse the web. Here’s what you need to do to keep Facebook’s targeted ads from stalking you all over the Internet. First head to your Facebook ads Settings page via this link right here. Now, look for the for section labeled Ads on apps and websites off of the Facebook Companies, and click Edit. Change the option to No. While you’re in here, you can also turn off some of Facebook’s other tracking settings (or “features” as it likes to call them). If you prefer to not see interest-based ads on Facebook, you can say no to Ads based on my use of websites and apps. Personally, if I’m going to see ads, I’d rather see them based on things I like, since I know Facebook already has the information anyway, but it’s nice to have options. What are your thoughts on Facebook ads reaching outside of the social media service? Let us know in the comments! Explore more about: Facebook, Online Advertising, Online Privacy. How is this even legal? Those other sites need the revenue from their ads to stay in business. FB is hijacking their ads to feed their own greed. Add this to FB stealing my personal info when I am not a FB user and have never signed up or agreed to allow FB to take or use my personal information for them to make money. a common rule of thumb: if you cannot tell what the product is: you are the product. No link to the Facebook page to change settings. There's not much point in such a link: Facebook routinely changes the link structure on the server side, and it can be different from account to account depending on rollouts.